Jacksonville, AL – Austin Peay State University women’s tennis team narrowly fell to Jacksonville State in an Ohio Valley Conference match, 4-3, Saturday, at the JSU Tennis Courts. The Govs (5-6, 2-1 OVC) had their four-match win streak snapped and their unbeaten start to OVC play halted by the Gamecocks (10-2, 3-1 OVC). 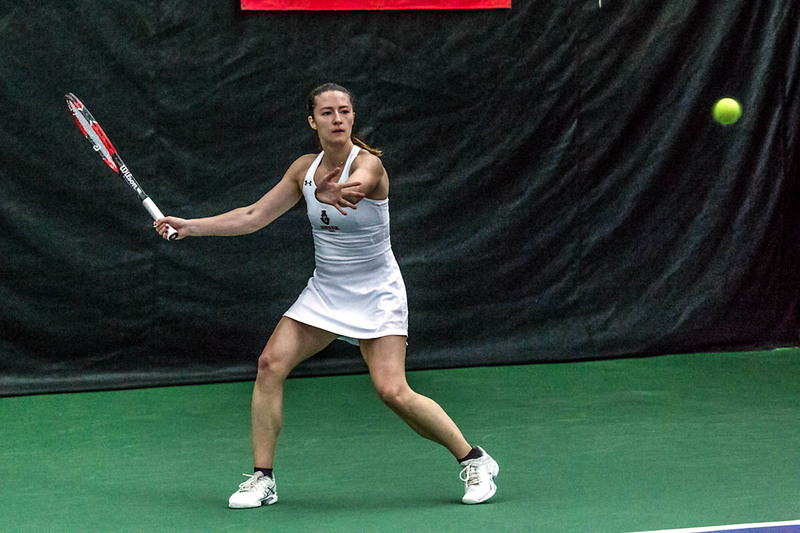 The match was filled with twists and turns, as the Govs first won at No. 2 and No. 3 doubles, with the usual lineups in doubles changed. Lidia Yanes Garcia partnered with Brittney Covington to win at No. 2 doubles, while Claudia Yanes Garcia teamed with Ana Albertson at No. 3 doubles. The Gamecocks took the lead back in singles with wins at No. 2 and No. 4 singles. Lidia continued her stellar season with another straight-set win over Genevie Ulanday at No. 1 singles (6-4, 6-3). Helena Kuppig gave the Govs the lead for the second time in the match with a win at No. 3 singles over Alessia Locati (6-3, 6-2). Like in their previous match, the Govs needed to win one of two matches at No. 5 or No. 6 singles, but the Gamecocks provided two clutch performances to win. The Govs return to action with a non-conference match, 2:30pm, Tuesday, at home against Saint Louis.